Whatever style you choose, no garden is complete without its trees, shrubs and border plants. Offering structure, texture and colour, they all provide wonderful seasonal interest, as well as food and shelter for creatures great and small. There are so many trees to choose from, and you need to be sure you make the right choice for your garden! Our tree selection offers fantastic choice, with everything from acers to willows, including trees suitable for small gardens, those bearing fruit, a variety of flowering options and wonderful bark and foliage – there’s sure to be something to suit your needs and if you’re not sure, just ask one of friendly, expert staff! 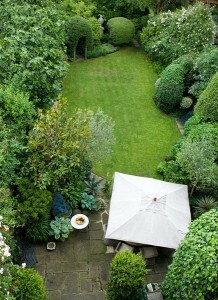 Shrubs offer a further opportunity for structure in your garden and there is, literally, something for every position. Whether you’re looking for ground cover, a border feature or a climber to cover a trellis, we offer a comprehensive collection of shrubs displayed in groups favouring similar conditions – so you can easily find something to suit your situation and growing conditions. You can choose evergreen or deciduous, flowering (for any season), for foliage or for colour – or any combination of these! And we’re more than happy to share our ideas, so why not check out our seasonally inspired displays? Providing colour, height, drama and texture year after year, perennials are the plants that give our gardens their ‘wow’ factor. There are hundreds to choose from, but you can always rely on our large displays to showcase the best – and to give you great ideas for your own gardens! Suitable for borders, for use in pots, making combinations for stylised planting schemes and just about everything else – and if you need advice remember that we’re here to help you find the perfect plant for that special spot. We pride ourselves on the quality of our trees, shrubs and perennials – and all the other plants we stock. It doesn’t matter if you’re a novice or experience gardener, or whether you’re re-designing your entire garden or want to add a little extra interest and colour, visit us in-store today for inspiration, advice and all the quality plants you’ll need!